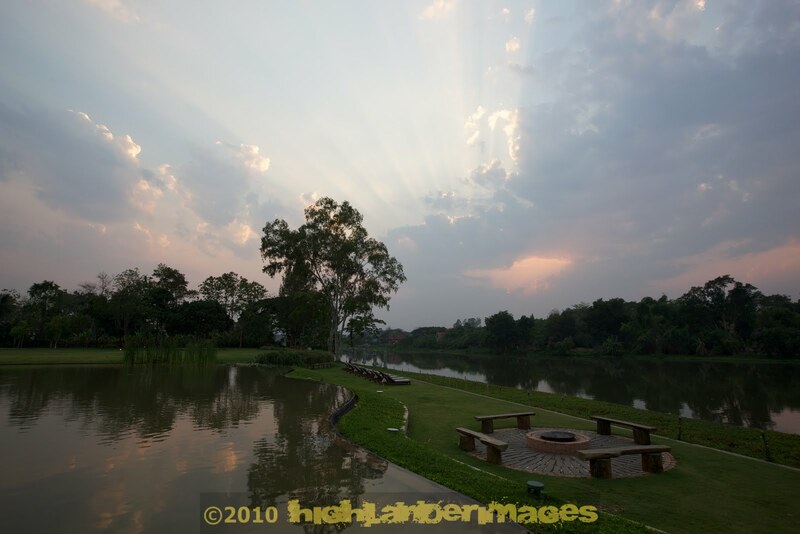 The following image is an HDR image I composed in Chiang Rai, Thailand as the sun was setting over the Mae Kok River. I took 3 shots at -2, 0, and +2 EV and combined the 3 images in PhotoMatixPro application. 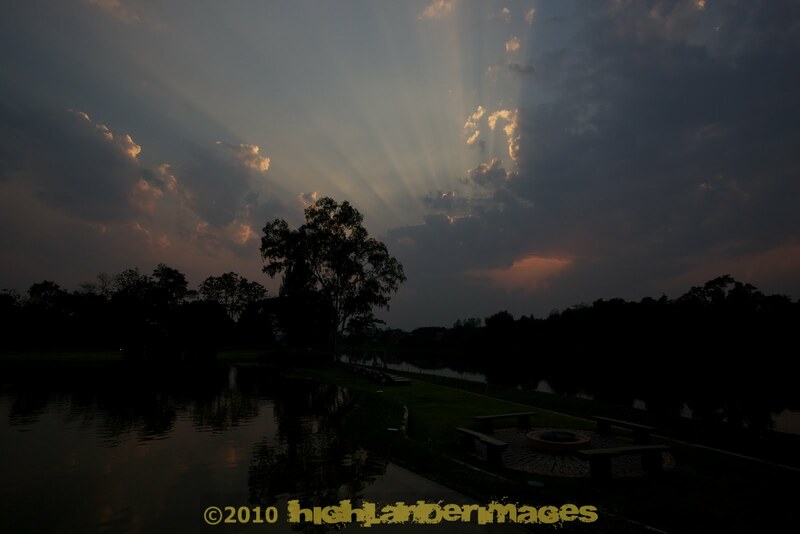 The 3 bracketed shots that the final HDR image was created from are below for reference. Recently I have using Topaz Fusion Express as a plugin for Aperture and have found that the results can produce images that are as good if not better than HDR images and only using one exposure rather than a number of bracketed shots. Taking the same image as above, i.e. the 0 EV exposure image and running it through Topaz Fusion Express I got the above result which is equivalent or in my view even better than the HDR image produced from the 3 bracketed images. I'm not a photographer, so I have no idea what you are saying. But love the results! Thanks Twu;a …. as you say it's the final result that counts!